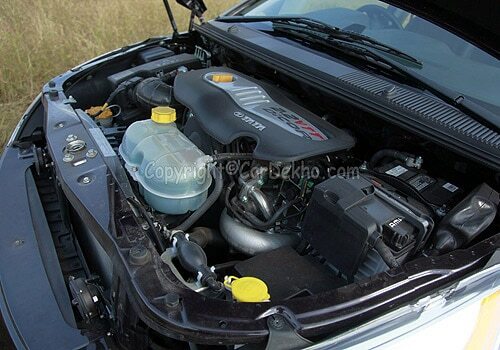 HomeNew CarsTata CarsTata AriaTata Aria FAQsTell me the engine specifications of Tata Aria? Tell me the engine specifications of Tata Aria? Tata Aria is blessed with 2.2L DiCOR (Direct Injection Common Rail) diesel engine which also duties the exisitng SUV Tata Safari. The 2.2L DiCOR diesel powertrain of the crossover pumps out 138bhp of peak power at 4,000rpm and generates 320Nm of top torque at 1700-2700rpm. Tata Aria has a new generation 2.2 L, DICOR (Direct Injection Common Rail) diesel engine that works on the base of 32 bit electronic control unit and houses state-of-the-art technology. The turbocharger in the engine comes equipped with unique Variable Turbine Technology (VTT) which is also well supported by 16 valves (4 valves per cylinder) that ascertain more power and torque with better fuel consumption. It is coupled very well with a 5-speed manual transmission gearbox.